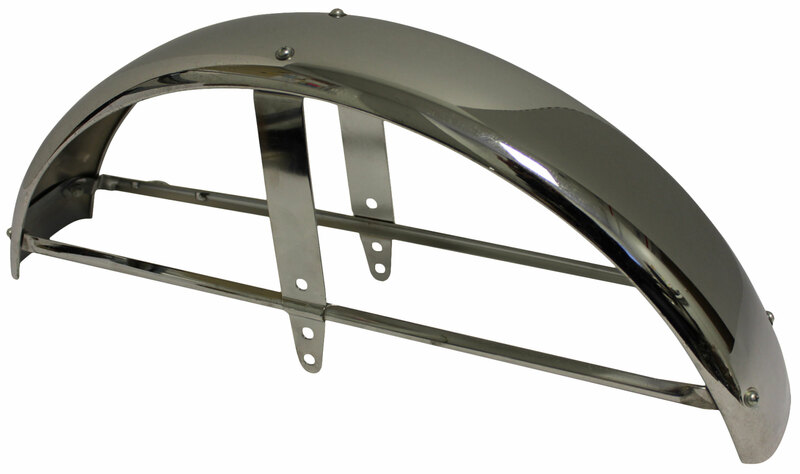 Replacement front fender for Yamaha YR1 & YDS3 motorcycles. 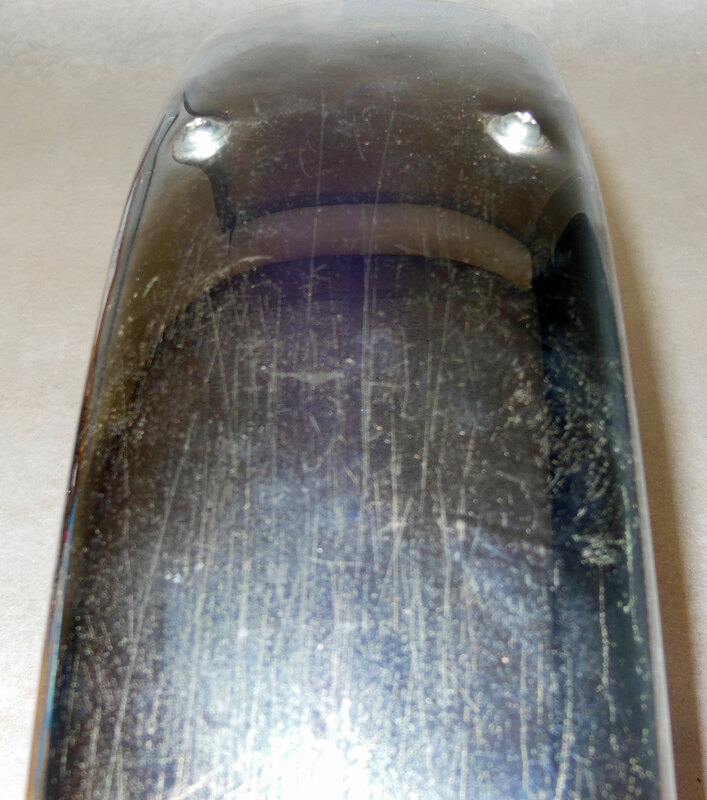 Width of Bracket Top Bolt Holes: 3-3/4"
Width of Bracket Bottom Bolt Holes: 3-7/8"
Will work on Yamaha YR1 models. Also custom applications. Please see dimensions of fender to see if it will fit your bike! Please see dimensions of fender to see if it will fit your bike!